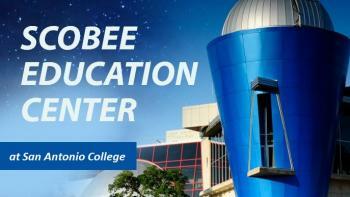 Scobee Education Center at San Antonio college is the home of the Scobee Planetarium, observatory and the Challenger Learning Center, where participants engage in a simulated mission to space. The focus is on STEM education, primarily earth and space science. We offer planetarium shows, field trip experiences, conferences, workshops, camps, Missions and Micronauts. We serve enthusiasts of all ages!